ALREADY struggling city and municipal authorities could find themselves in even deeper financial waters, with Government suggesting at the weekend that it is time to wean them off such monthly support as the Equalisation Fund. 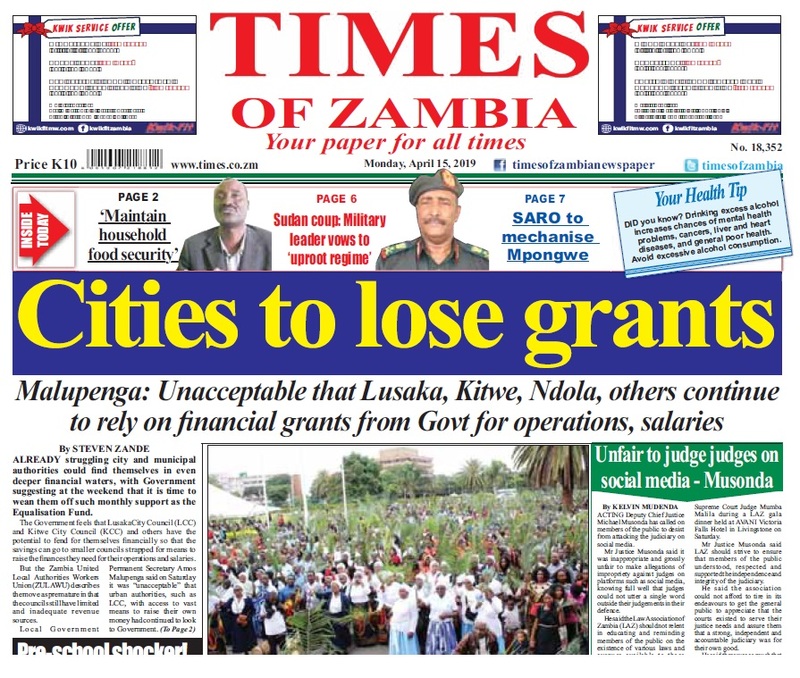 The Government feels that LusakaCity Council (LCC) and Kitwe City Council (KCC) and others have the potential to fend for themselves financially so that the savings can go to smaller councils strapped for means to raise the finances they need for their operations and salaries. 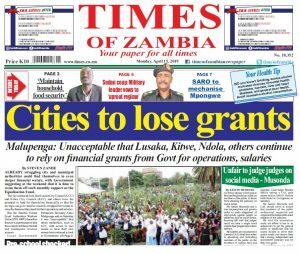 But the Zambia United Local Authorities Workers Union (ZULAWU) describes the move as premature in that the councils still have limited and inadequate revenue sources. 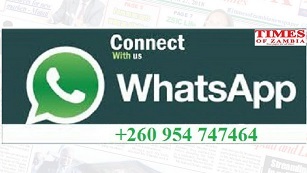 Local Government Permanent Secretary Amos Malupenga said on Saturday it was “unacceptable” that urban authorities, such as LCC, with access to vast means to raise their own money had continued to look to Government. He said there were far more genuinely needier causes among the smaller councils that should be receiving the grants now being shared with Lusaka, Kitwe, and other city and municipal authorities. Speaking in an interview on the Zambia National Broadcasting Corperation (ZNBC) TV1 ‘Kwacha Good Morning Zambia’ programme, Mr Malupenga said councils should be innovating to raise the money they needed for them to survive with or withoutGovernment support. “That help we want to push it to smaller councils in rural areas. The grant should just supplement other sources of income. But the tendency that we have now is that all councils are looking to the fund as a solution to all their problems. This is unacceptable,” he said. He added; “Local authorities should realise that times have changed. They have to stand on their own; that is why they are corporate bodies. You can’t establish an independent company and then you want to be relyingon somebody to be funding you, it’s not possible,” Mr Malupenga said. But ZULAWU secretary general Emmanuel Mwinsa described the Government’s intention to withdraw Equalisation Fund as premature because councils’ operations were not streamlined to strengthen their revenue collection. Mr Mwinsa said yesterday in an interview that the Government should devolve functions of local authorities so that councils could collect revenue from additional sources like motor vehicle licensing. He said councils’ revenue base was still weak but this could be reversed when local authorities assumed their constitutional mandate to undertake functions which were currently being done by institutions like Road Transport and Safety Agency (RTSA). Mr Malupenga said the Government was working on measures that would help local authorities generate adequate income to fund capital expenditure and operations. He said the requirement for people with offer letters to start paying ground rates was among measures aimed at boosting councils’ revenue collection, saying it was unacceptable for local authorities to continue surviving on grants from Central Government. Mr Malupenga said the behaviour of council staff in Kabwe whose sit-in protest resulted in suspensions was “extreme”. He said even where workers believed they had genuine grievances to air, there was no excuse for failing to follow the laid-down procedures. On the same programme, ZULAWU president Kingsley Zulu said in a telephone call that eight councils across the country were totally self-reliant. Mr Zulu said the Equalisation Fund still did not meet the wage-bill of self-reliant councils hence the need for them to continue exploring ways of being self-sustaining but employers had an obligation to pay workers. He said in the long-term, bigger councils should open additional revenue collection streams like road fitness fees, toll fee collection and electricity distribution while grants should be disbursed on time to prevent industrial unrest.